Starting an addiction information and treatment center is your ticket to owning a good, stable business if you do it right. We provide a friendly, comprehensive guide that can make your business profitable, stable and built to last. We've assembled some pertinent advice on how to go about opening an addiction information and treatment center. The need for addiction treatment centers is strong. By some estimates, only 15% of addicted substance abusers get treatment. This is work you can feel good about too. As a result of your efforts, you will be fostering healthier individuals, families and communities. But, this is not a venture for the faint of heart. The work can be very taxing and emotionally draining. Of course, you will need to decide what addictions you will treat and what specialization you might offer. 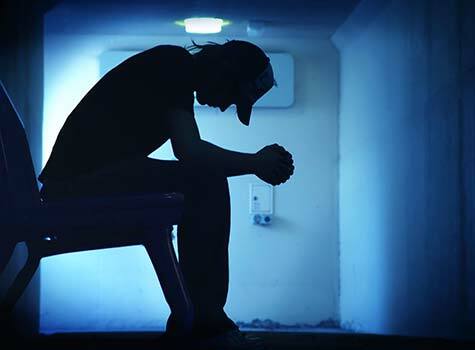 Common addiction treatment areas include alcohol addiction, drug addiction, compulsive gambling, and sexual addiction. Your offerings can then be refined even further. For example, you might specialize in adolescent/teen addiction. This is a fairly complex business to run, so it's best if you have worked at an addiction treatment center before you open your own. Billing for substance abuse disorder services, in particular, is not an easy task; it requires an understanding of health insurance company billing and also how programs such as Medicaid can support your clinic. For example, to work with insurance companies, you will need to get an NPI (National Provider Identifier) number. Licensing requirements will vary by state. Get a copy of State Alcohol and Drug Treatment Program Licensing Requirements and Certification Standards for Substance Abuse Counselors and Prevention Professionals, a book published by the U.S. Department of Health and Human and Services that discusses each State's licensing, certification, and credentialing standards for alcohol abuse and drug abuse treatment facilities. Make sure your licensing is in order before you open your doors. Getting behavioral health care accreditation from the Joint Commission on Accredidation of Healthcare Organizations (JCAHO) should be a priority for your addiction treatment center. JCAHO conducts an impartial assessment of the quality of care, treatment or services delivered to the individuals you serve. Families and individuals view JCAHO accreditation as a sign that you have a strong commitment to safe, high quality addition treatment, care and services. Many new addiction information and treatment center owners feel unprepared for the challenge of writing a business plan. Fortunately, you don't have to tackle your addiction information and treatment center's business plan by yourself. These days, there are tons of great resources and solutions available to support the business plan writing process. If you're feeling overwhelmed, take a look at Gaebler's Business Plan Help section for a list of business plan writing resources. Well in advance of opening an addiction information and treatment center in your area, it's a smart move to see how strong the competition is. Use the link below to get a list of local competitors near you. After following the link, enter your city, state and zip code to get a list of addiction information and treatment centers in your area. As part of your due diligence on opening an addiction information and treatment center, it's a wise move to learn as much as you can from somebody who is already in the business. If you think owners of nearby addiction information and treatment centers will give you advice, think again. What's in it for them? On the other hand, an individual who has an addiction information and treatment center in a location that is not competitive to you may be more than happy to give you a few tips, once they realize that you are not going to directly compete with them in their community. Many business owners are happy to give advice to new entrepreneurs. Our estimate is that you may have to contact many business owners to find one who is willing to share his wisdom with you. How does one go about finding an addiction information and treatment center founder who is willing to talk to you but doesn't live nearby? An acquisition can be a great way to enter addiction information and treatment center ownership. But it's important to evaluate the benefits and drawbacks of buying a business before you decide on either an acquisition or startup approach. As an entrepreneur, your chances thriving in your new business immediately improve if you go the franchising route instead of doing it all on your own. If your goal is to start an addiction information and treatment center, you ought to check out whether purchasing a franchise might be the right move for you. If you want to start an addiction treatment venture, you should consider joining the National Association of Addiction Treatment Providers (NAATP). They offer discounts on insurance, pharmaceuticals and software. They can help you with industy benchmarks. They also publish the Alcoholism & Drug Abuse Weekly newsletter, which can help you stay current on clinical developments and other addiction-related news. You should also get involved with The Association For Addiction Professionals (NAADAC), which represents the professional interests of more than 75,000 addiction counselors, educators and other addiction-focused health care professionals in the United States, Canada and abroad..
You may also want to attend two industry events, the National Conference on Addiction Disorders (NCAD) and the Behavioral Healthcare Leadership Summit (BHLS). This can be a great way to network with others who have started and run addiction information and treatment businesses. Finally, subscribe to Addiction Pro, a magazine that addresses the addiction treatment industry. Any comments, questions or suggestions to share regarding launching an addiction information and treatment center? We'd love to hear your comments. Already Own an Addiction Information & Treatment Center? Are You Selling to Addiction Information & Treatment Centers?